How to draft an Appointment for Employment Test? 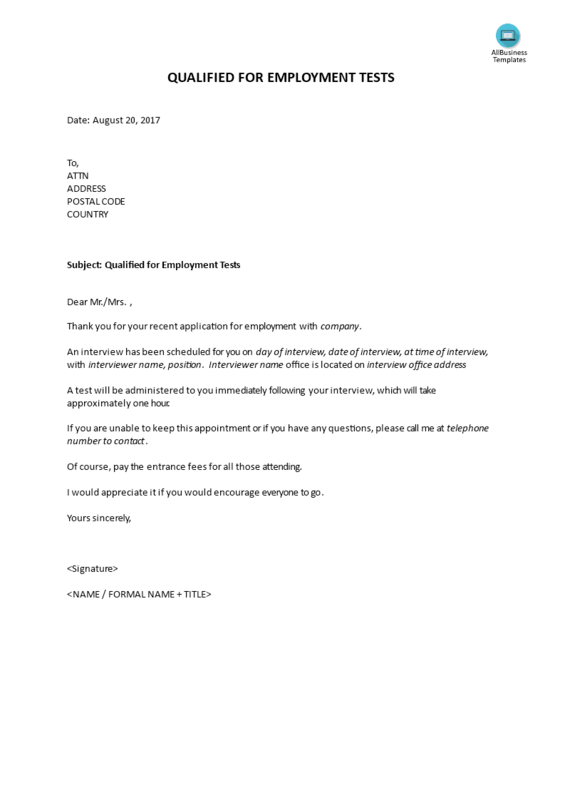 Download this Appointment for employment test invitation letter template now! Performing employment tests is common in certain fields of work. Especially in the recruiment phase an employment test can be common follow up after a successful interview took place with the candidate. The HR department is managing that each employee that is selected has to be tested. This letter can help your HR department in order to write a proper letter to the employees that need to be tested. This Appointment for employment test has ways to grab your employee’s attention. It is drafted by HR professionals, intelligently structured and easy-to-navigate through. Download this HR Appointment for employment test template now!